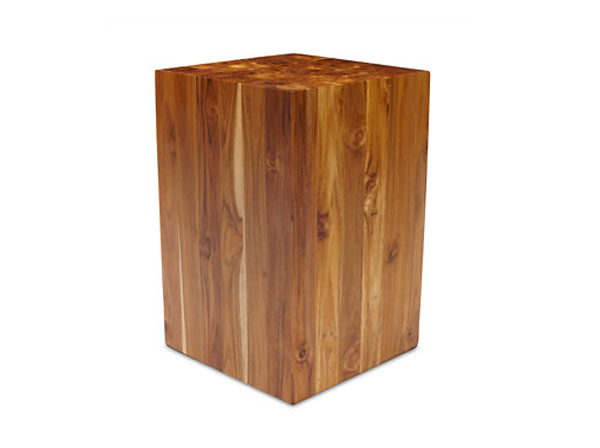 I have been looking for an end table for my living room for a while now. I want something that looks great, is functional, and can stand up to a toddler. Let me start with this gorgeous set from Israeli designer Hilla Shamia. 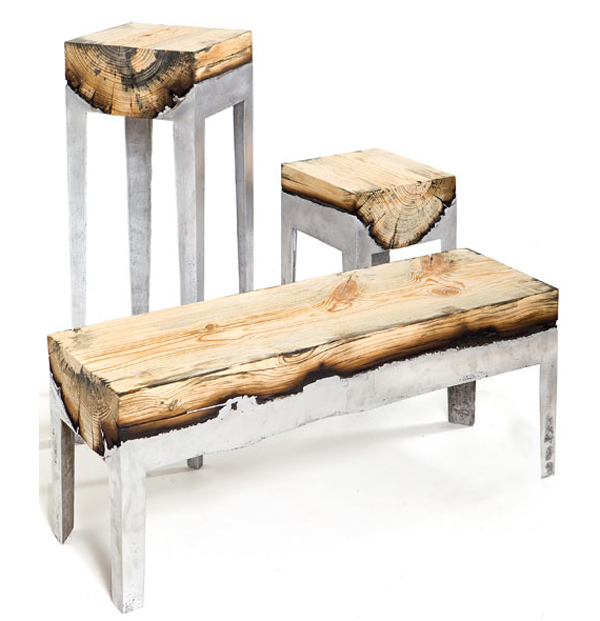 She takes a whole tree trunk, adds some molten aluminum and ends up with these amazing tables. This is one of my favorites. I found it on inmod.com and if I wasn't on a budget, I would absolutely get this one for $546.00 (that's after the 30% discount). It comes in different colors and finishes and they have a whole collection of tables in this style. Love it! 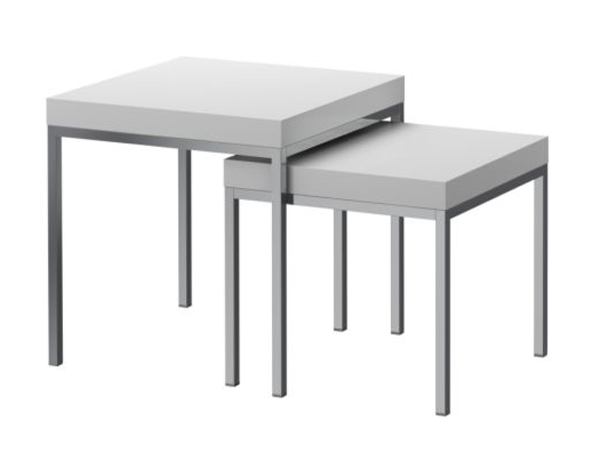 This set is actually really similar to the pricey one above, but is a steal at $80 for 2 nesting tables. It can be found at Ikea and comes in white or black-brown online, but I think some stores might still have it in the birch color as well. 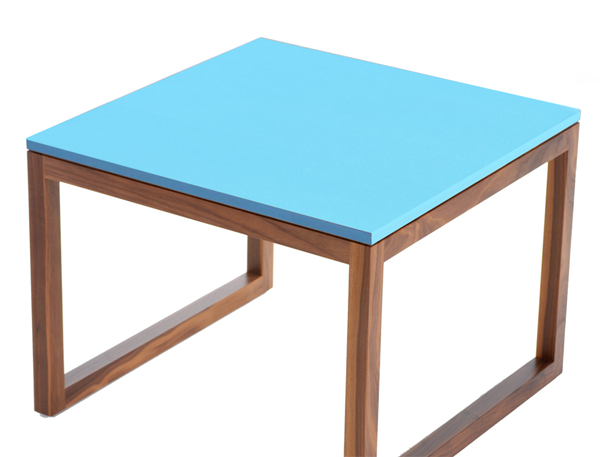 This table is totally simple and that's what makes it awesome. It is just a block of wood that can be used as a table or a stool. I couldn't resist including this one from Ikea. It is actually a kitchen cart, but I think it can work great as an end table. 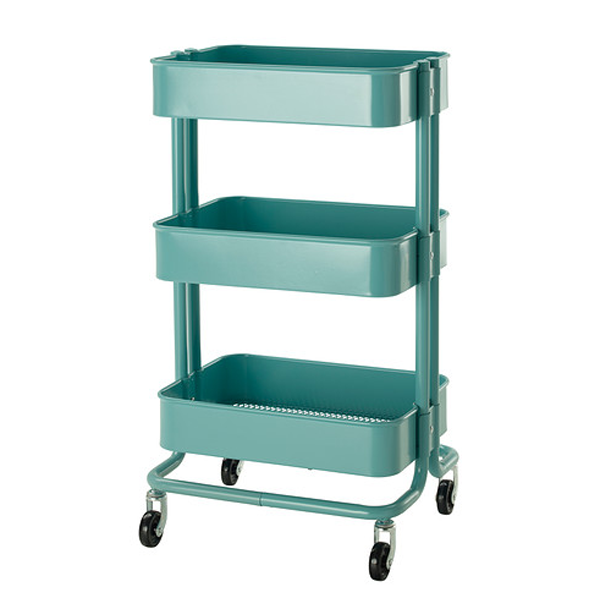 It's narrow and can fit in tight spaces and has wheels so you can easily move it around the room. And, I just love the three shelves. I can see a thin throw blanket at the bottom, some books and remotes in the middle and drinks on top. And it's only $50!